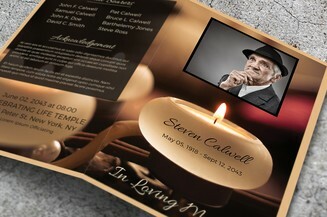 They may be gone but that doesn’t mean that we will stop loving them. 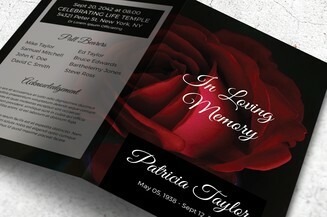 Show your everlasting love by creating a memorial keepsake that guests will surely treasure for a lifetime. 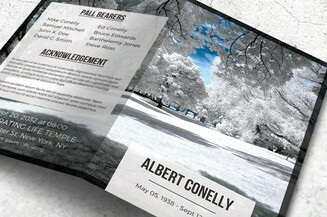 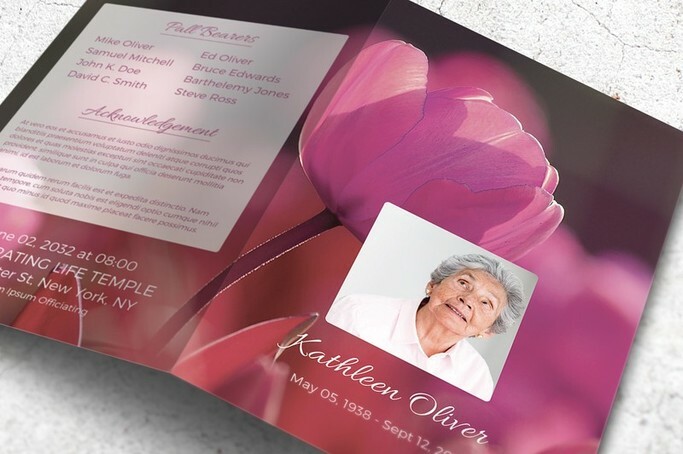 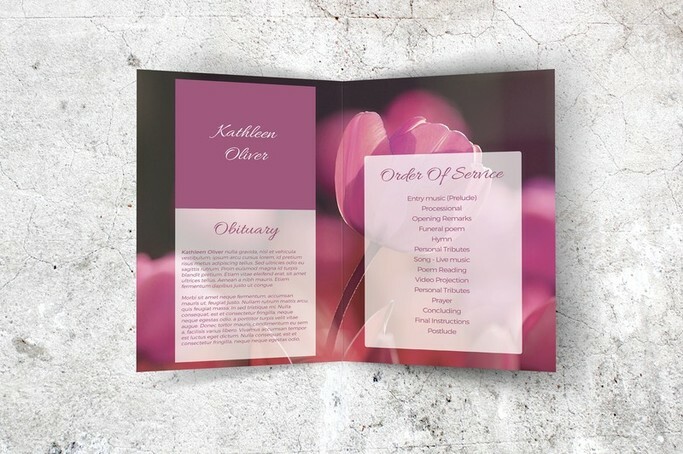 This funeral program template comes with a beautiful layout featuring pink tulips and a background of the same hue. 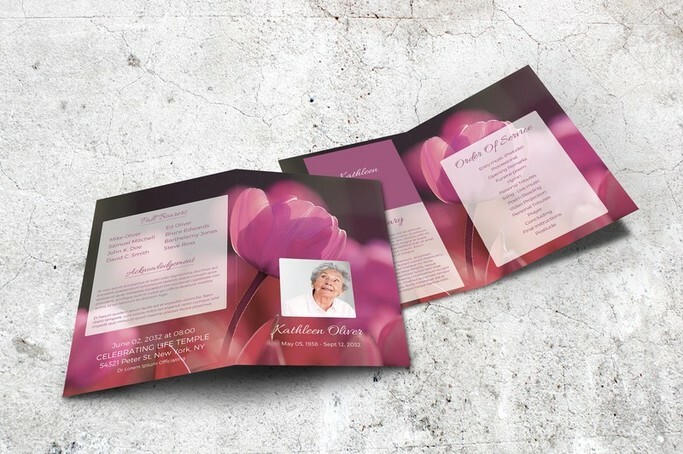 The downloadable file can be easily edited on Microsoft Word and you can instantly print the brochure for distribution to the memorial service attendees.